Janome is the number 1 sewing machine company in Australia, and one of the largest in the world. A leading innovator, Janome is dedicated to bringing the latest technologies and professional-grade sewing functionalities into the home. 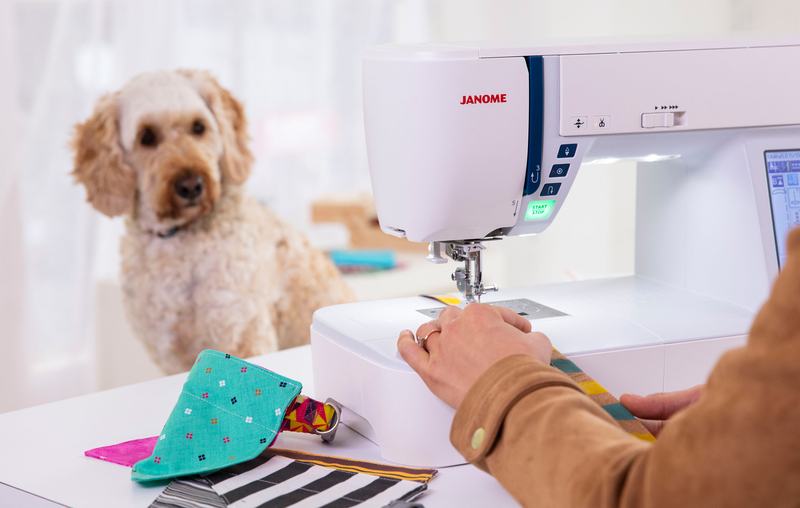 Janome brand sewing machines are being sold through specialist retailers and major department stores throughout Australia, with over 50% of market share. Our headquarters are located in Cheltenham, Melbourne, with four state offices in Sydney, Brisbane, Adelaide and Perth. Janome Australia also looks after operations in New Zealand. We employ over 3,500 people, and have operations in over 100 countries worldwide. On July 22nd, 2008 Janome celebrated the production of its 50 millionth sewing machine, a crowning achievement that represents a rich history and a world-renowned reputation for excellence. We would like to thank our customers for making this outstanding achievement possible. With the support of our loyal customers, and an extensive innovative product range that speaks for itself, we look forward to a bright future bringing you the best quality and functionality in Sewing Machines. On behalf of all our staff at Janome, thank you for being a Janome Sewist. Janome, originally PINE Sewing Machine Factory, was founded on October 16, 1921 in Japan. Founder and sewing manufacturing pioneer Yosaku Ose began using an unprecedented round metal bobbin system instead of the traditional long shuttle system. The name “Janome” was adopted in 1935 and means “Snake Eyes”, which resembles the bobbin that earned the company its name and established it as a leader in the Sewing Machine Industry. Since those early days Janome has always strived to bring the latest technology and innovation to home users. In 1964 Janome established an integrated sewing machine research laboratory in Tokyo. Since its establishment, a large number of superior sewing machines incorporating sophisticated computer control technology have been developed. In 1971, celebrating its 50th birthday, Janome delivered another innovation to the market: the first ZZ sewing machine with automatic and unique functions. The Memory Craft 8000 was released, being the first home-use computer sewing machine with professional style embroidery features. The Memory Craft 10000 was the first allowing PC connectivity with a USB cable connection. Another industry first with the introduction of the Memory Craft 300E. A home-use embroidery only machine with built-in designs, editing capability and the ability to read and write to a PC Flash Card. The same year we introduced the Memory Craft 6500P. Our first long arm quilting model with 9 inches of work area to the right of the needle. The Memory Craft 11000 was released, top-of-the-line embroidery sewing machine with PC direct link connectivity. Has a USB port and reads designs directly from a USB Key. Horizon Memory Craft 12000, top-of-the-line professional embroidery/quilting/sewing machine with real time PC connectivity, exclusive software program – Horizon Link incorporating stitch composer. Plus, 9mm stitches being a Janome first. Today Janome delivers the most powerful, sophisticated machines on the market, with patented technology and industry-leading software. Janome’s Sewing Machines are recognised throughout the industry for their ease-of-use and unsurpassed stitch quality. Janome Sewing Machines are being sold in over 100 countries worldwide, and we are proud to be the number 1 sewing machine manufacturer in the world for most types of domestic sewing machines.